University of Patras and FORTH participated in a meeting organized by the Industrial Cyber Security Center of Excellence (ICSCoE) and the EU-Japan H2020 project EUNITY. 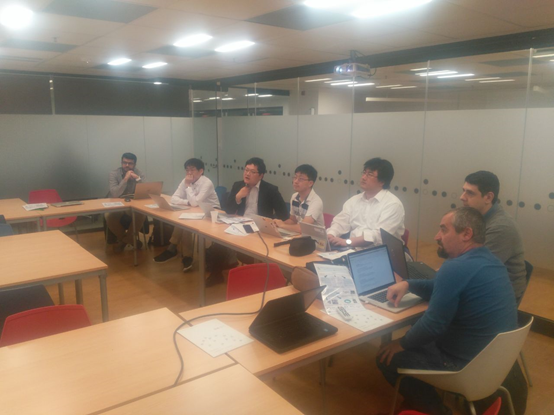 Within the context of this meeting, researchers and professionals from Europe and Japan presented their work in the field of cyber-security and explored the potentiality for future collaborations in selected security areas. In this event, Dr. Kostas Lampropoulos presented the SMESEC project, its main objectives and is goals. This project has received funding from the European Union’s Horizon 2020 research and innovation programme under grant agreement No 740787 (SMESEC). This work is supported by the Swiss State Secretariat for Education‚ Research and Innovation (SERI) under contract number 17.00067. The opinions expressed and arguments employed herein do not necessarily reflect the official views of these funding bodies.